This chapter presents a comprehensive review of the current debates surrounding bridging informal and formal learning, from the perspective of improving the learner’s experience in formal educational provision. 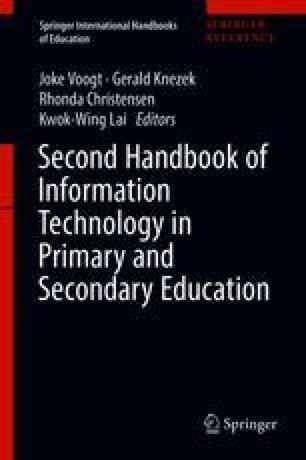 Firstly, the chapter reviews the literature defining informal and formal learning, noting the complexity and the lack of consensus. Secondly, it discusses how technology can be used to bridge learning through harnessing the digital practices that young people engage with informally such as social networking, game-based learning, and digital making. The authors then outline some pedagogical issues which need to be considered to maximize the potential of bridging formal and informal learning. Next, the pedagogical strategies needed to enhance learners’ opportunities for autonomy, collaboration, and authentic learning are discussed. The chapter also explores the divides, cultural tensions, and ethical concerns that shape practices such as the constraints of a performativity culture and the invasion of young people’s private space. A vignette of a project in India is presented as an illustration of good practice. Here, despite limited access to technology, young people have been supported to engage in authentic learning projects involving the creation of digital artifacts, both in- and out-of-school. The chapter concludes by arguing that there must be a shift from transmissive to collaborative pedagogical strategies; school cultures need to change. In order to do so, teachers need professional development and support to take risks and experiment. More research is needed so that the interrelationship between technology-enabled formal and informal learning can be better understood but also because good models of practice need to be identified and shared. Adhikari, S. (2014, August 10). M-learning, the way to go. The Hindu. Retrieved from http://www.thehindu.com/features/education/mlearning-the-way-to-go/article6298965.ece. McKay, C. & Peppler, K. (2013). MakerCart: A mobile fab lab for the classroom. Position Paper at the Interaction Design for Children Conference (IDC), New York. Retrieved from http://kpeppler.com/Docs/2013_Peppler_Maker_Cart.pdf. Raman, A. (2014, June 5). Mobile learning: Smart education system for India. Forbes India. Retrieved from http://www.forbesindia.com/blog/business-strategy/mobile-learning-smart-education-system-for-india/. Srivastava, M. (2015, August 20). 80% of Indian employees find mobile learning useful, says study. Livemint. Retrieved from http://www.livemint.com/Consumer/Jx5FFXAsYA6nB4hob1f0gJ/80-Indian-employees-find-mobile-learning-useful-says-study.html. The World Bank. (2003). Lifelong learning in the global knowledge economy: Challenges for developing countries. Washington, DC: The World Bank. Retrieved from http://siteresources.worldbank.org/INTLL/Resources/Lifelong-Learning-inthe-GlobalKnowledge-Economy/lifelonglearning_GKE.pdf. UNESCO. (2012). UNESCO guidelines for the recognition, validation and accreditation of the outcomes of non-formal and informal learning. Hamburg: UNESCO Institute for Lifelong Learning. Retrieved from http://unesdoc.unesco.org/images/0021/002163/216360e.pdf.